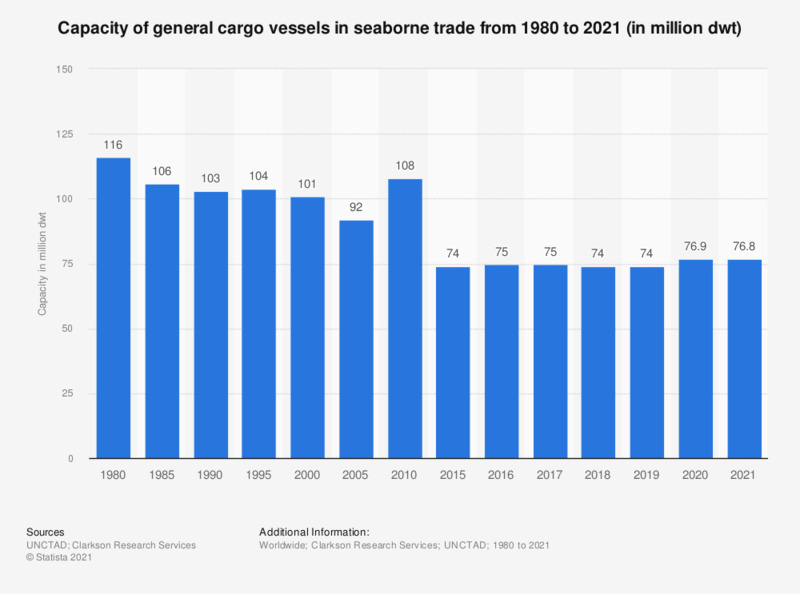 This statistic portrays the capacity of the world general cargo vessel fleet from 1980 through 2018. In 2018, the world general cargo ship fleet had a capacity of around 74 million metric tons deadweight. This figure translates into a decrease of around 0.6 percent, compared with the previous year. * Beginning-of-year figures; the values for 1980 through 2016 have been extracted from previous editions. According to the source, the statistic refers to freighters with 100 gross tons or more.